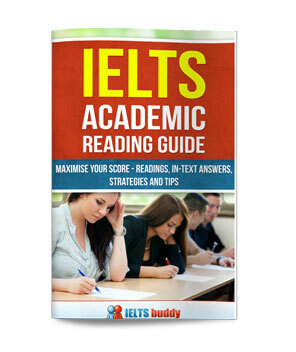 Look carefully at the IELTS graphs below and their titles. Underneath each is a brief descriptive sentence about the graphs. From 1975 to 2000, hamburgers increased dramatically from 10 to 100 times per year. At the same time, fish and chips fell significantly to just under 40. While buses fell from just over 25% to around 16% in 2000, cars increased dramatically to over 35%. Meanwhile, bikes fell over this time frame. Did you find what the errors were? Can hamburgers increase and fish and chips fall? Can a car increase, or a bus and a bike fall? No, but the consumption of hamburgers or fish and chips can fall or rise, and the use of a car, bike or bus can increase or decrease. From 1975 to 2000, the consumption of hamburgers increased dramatically from 10 to 100 times per year. At the same time, the number of times that fish and chips were eaten fell significantly to just under 40. While bus usage fell from just over 25% to around 16% in 2000, cars as a mode of travel increased dramatically to over 35%. Meanwhile, the use of bikes fell over this time frame. 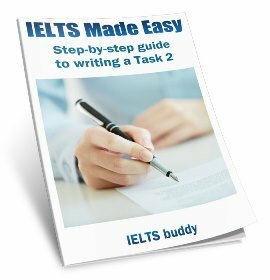 When you are analysing your task 1 before you write about it, look very carefully to identify what the subject is i.e. what is it exactly that is being measured? 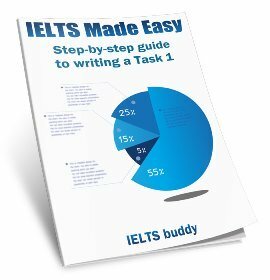 A common mistake when writing about IELTS graphs in task 1 of the test is to get the subject wrong. 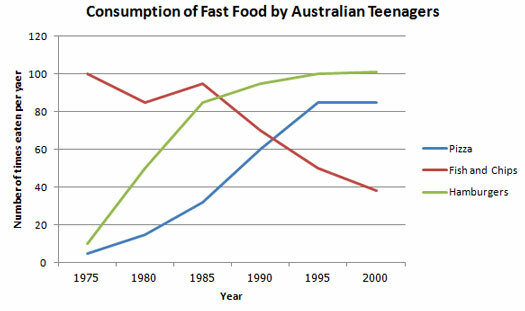 The first graph is about the consumption of fast foods. 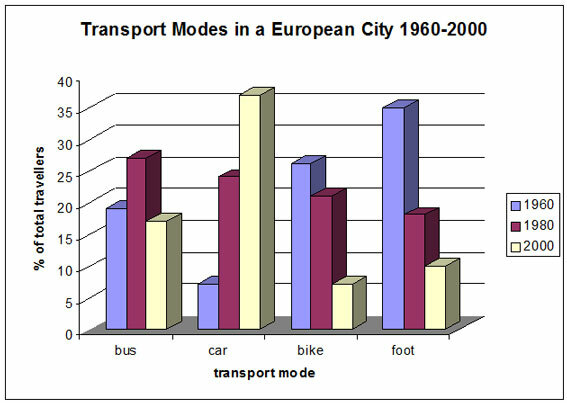 The second graph is about the use of four types of transport. Getting this wrong will significantly detract from your response to the task. Below are some examples of sentences taken from IELTS graphs where the subject is wrong. At the end of the sentence in brackets is a word which is missing. Have a go at writing the corrected sentence in the box using the word (you may have to add in some more information such as 'the number of' or change the form of the missing word). 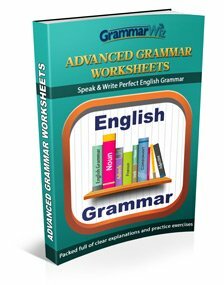 There are different ways that it can be corrected, but view some possible answers by clicking on the link below each question. Cinema attendance increased from 2000 to 2005. The number of people attending / who attended the cinema increased from 2000 to 2005. 2. Saudi Arabia fell significantly to 270 million barrels a year. (oil production). Oil production in Saudi Arabia fell significantly to 270 million barrels a year. The amount of oil produced in Saudi Arabia fell significantly to 270 million barrels a year. Saudi Arabia's oil production fell significantly to 270 million barrels a year. 3. 2000 to 2010 saw DVDs drop from 70% to 60%. (purchased). 2000 to 2010 saw the number of DVDs puchased drop from 70% to 60%. 2000 to 2010 saw the purchase of DVDs drop from 70% to 60%. There are only a few examples here, but the key point is to make sure you look at what you are being asked to describe in the graph very carefully.